A group of senior civil servants from the Hong Kong Correctional Services Department (CSD), and Electrical and Mechanical Services Department (EMSD) visited ASTRI on 12 July 2018. The group was led by Mr Yeung Chun-wai – Assistant Commissioner of CSD, joined by Mr Wong Sek Cheung – Assistant Director of EMSD. 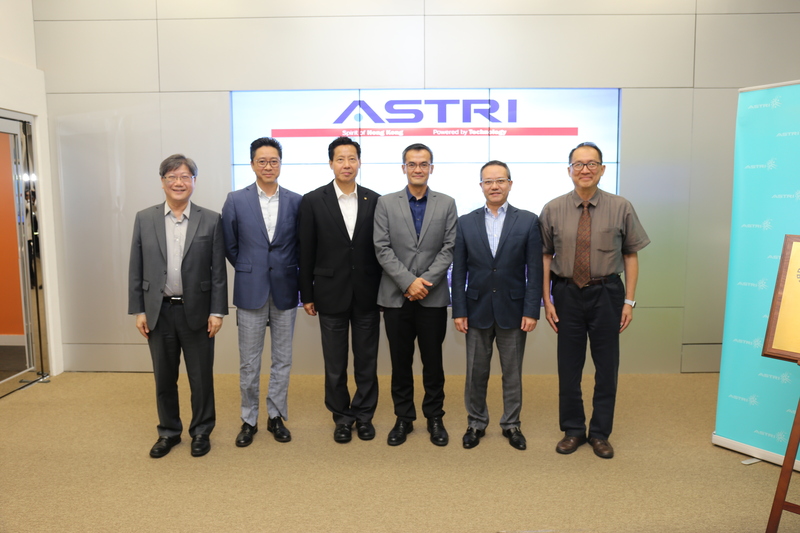 They were welcomed to ASTRI by Mr Hugh Chow – Chief Executive Officer, accompanied by Dr Meikei Ieong – Chief Technology Officer and Dr Justin Chuang – Vice President of Next Generation Network as well as several R&D experts. 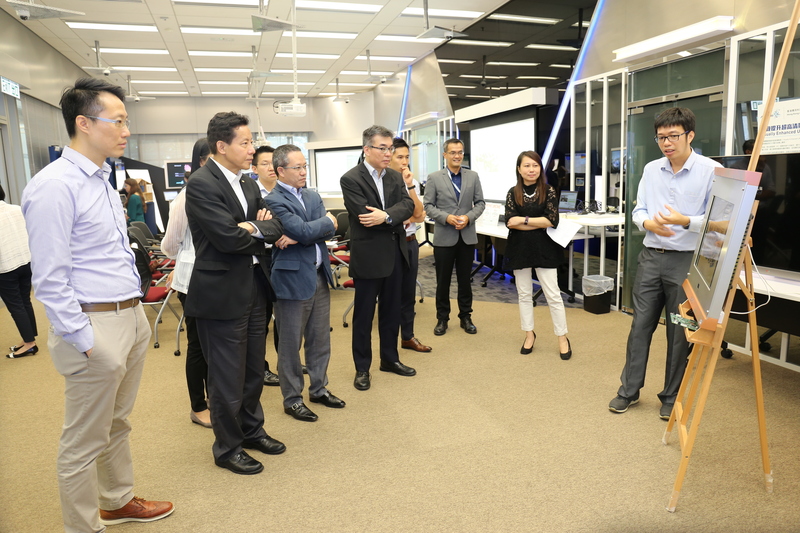 Aiming to explore new technologies for continuous improvement of CSD’s operational performance, the group was very keen to see a series of ASTRI’s advanced R&D projects such as human activity sensing technologies, data analytics and cybersecurity. 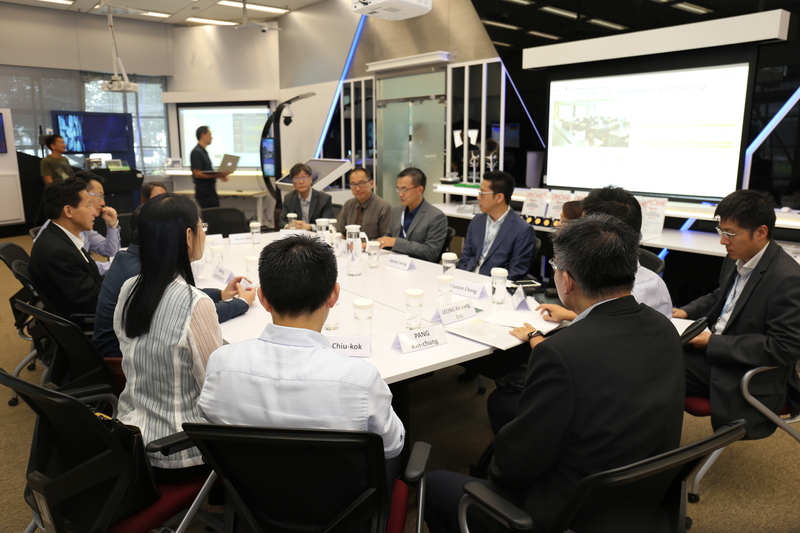 During the visit, they also took the opportunity to witness demonstrations related to various applications of 5G at ASTRI’s Smart City Innovation Centre. In addition, they exchanged ideas and insights with ASTRI’s R&D experts on how technology could help enhance the efficiency and security of their operations and services.